As most of you know, Google Reader is ending soon and GFC will most likely be going as well so Bloglovin' is going to be the best place to follow and read all of your favorite blogs! 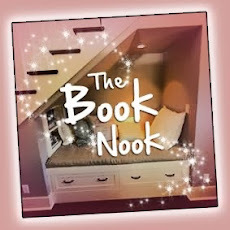 In celebration of this, Book2Buzz is hosting a month long blog hop called the Booklovin' Blog Hop! Within this hop there are going to be book reviews, spotlights, interviews and plenty of chances to win books from the following genres: Dystopian, fantasy, and YA! So here's my review of Belle Noir a collection of short fantasy stories. 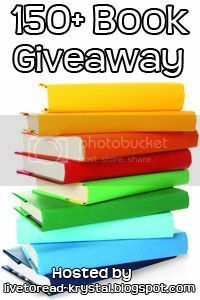 And you can enter for a chance to win an epub copy! An e-copy of Belle was sent to me by the author in return for an honest review, And I was a bit nervous because its the first anthology I've read. Belle Noir is a collection of short stories for adults and most of the stories are about heartbreak, pain and magic. This book was so original, I didn't want to put it down. Don't let the name and cover fool you, Belle Noir is dark and heart wrenching, All of the characters in the first four stories faced great pain - at the hands of men - and reading about them felt like witnessing some thing private that was shared by accident, but I couldn't look away, it was too intriguing. As this is my first review of a collection of stories I'm going to give a little review of all of them separately. Firstly Transfigured a retelling of beauty and the beast, I was completely transfixed within a few pages of this story. It was like the story behind the classic fairy tale, It was beautiful and tragic and I wished it was longer I liked the idea of what happened to the characters after the curse was broken. The style this story was written in was so different from the rest that it almost felt like a different author, which just shows how diverse Ava Zavora is and I look forward to reading more of her books. I hadn't actually heard of The Lady of Shallot by Tennyson but I feel like the modern retelling No Loyal Knight and True was a great introduction to it, I love how strong the main female character was and the way the story flitted between the past and present to unravel what had happened to her. I loved the ending as well It was very well developed and I like the fact Ava added The Lady of Shallot at the end of the book so I could see the roots of the story. Which brings me to Belle Noir it was beautiful and captivating. Another retelling of Beauty and the beast in a way, this story doesn't contain any magic and is set in our world because as Ava says in the afterword "There are beasts in real life and unfortunately, often-times, we recognize too late their true natures" Jane story was heart wrenching she escapes a monster just to fall foul of another much worse one, disguised as the happiness she so desperately wanted. 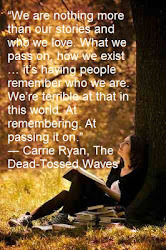 I thought the analogy drawn between the rose bush and Jane's daughter was great it really tied the story together. Grotesque was the story I like the least, I thought the end half was brilliant but the beginning just seemed a little empty. I like the way the main female character was strong but eventually broke down and everything was revealed. I don't want to give anything away but I thought the symbolic ending made the story. Mirabilis is a novella of another beauty and the beast retelling, and was my favorite story. I actually wish Ava had made a entire book of this story I loved it. I would of liked it to have more of a definitive ending but I guess what happened next was left the imagination. I really liked Rosaria's character, how strong and independent she was while still needing her father. I liked the use of the rose and the fact lord Devlin hires Rosaria to help break his curse and she wasn't given to him like a possession to buy her fathers freedom. In conclusion Ava is a very diverse writer, Belle Noir is a beautiful collection of retellings for adults and I really enjoyed them. I'm not usually a romance reader, and i'm never won over by a happy ending but this book is the exception to the rule, I was really rooting for the strong women in the book to get their happy ever after. 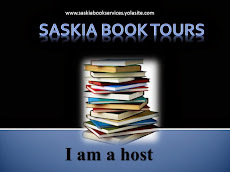 If you enjoy the fantasy or romance genre, you'll love this book. I love the sounds of this book! I am love with the cover! Belle Noir sounds like a great book. The cover is to die for and I'm really intrigued by your review. 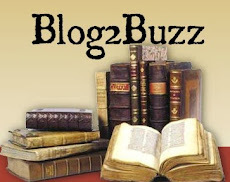 Blog2Buzz Blog of the Month Winner July!!! 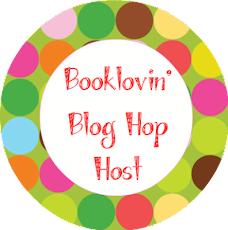 Booklovin' Hop Host 2nd of July. Scout has read 0 books toward her goal of 100 books.